One of my very earliest memories of reading is from kindergarten. I remember being enthralled by the story of a little girl who went berry picking with her mother, only to end up following a mother bear. That book was Blueberries for Sal by Robert McCloskey. It inspired my imagination at an impressionable age and made me want to become a writer. It also started an interest in reading everything Robert McCloskey wrote. Robert McCloskey was born in Ohio on September 14, 1914. He wrote nine books, winning two Caldecott Medals. He was married and had two daughters. His wife and oldest daughter were the models he used for Blueberries for Sal. The family often vacationed in Maine, where four of his books are set. He died in Deer Isle, Maine, in 2003 at the age of 88. It’s clear from Robert McCloskey’s books that he valued the innocence of children and the way they look at the world. He drew inspiration from his own children to find those moments of wonder, capture them in words and pictures, and share them with the world. There are so many ways to incorporate these great books in your unit studies and delight-directed learning opportunities! Robert McCloskey books take me back to my childhood days when life was carefree and full of wonder. I love sharing those books with my daughters now. They’ve inspired new memories for me as we read them as part of our homeschool studies with Five in a Row and just for fun on rainy days when you just want to curl up with a good book. Two of our favorite Caldecott Honor books were written by Robert McCloskey: Time of Wonder and Make Way for Ducklings. 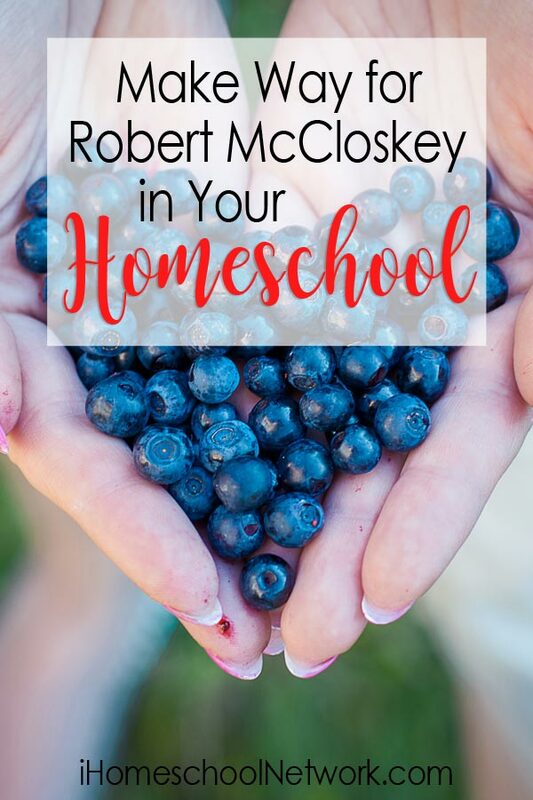 If you haven’t invited Mr. McCloskey into your homeschool yet, I highly recommend it!